Continuing his strong run of form in the Moroccan dunes, Rockstar Energy Husqvarna Factory Racing rider Pablo Quintanilla has secured a strong runner-up result on the second rally stage of the 2018 Merzouga Rally. With three stages still to be contested, the Chilean rally star is less than five minutes behind the provisional overall leader. Delivering the goods again today in Morocco, Quintanilla enjoyed a mistake-free timed special. Reaching the leading riders after the halfway mark, the FR 450 Rally powered rider lead the group for the remainder of the stage. Securing second for the day, the reigning Cross-Country Rallies World Champion is still in the game for the coveted victory at the event. 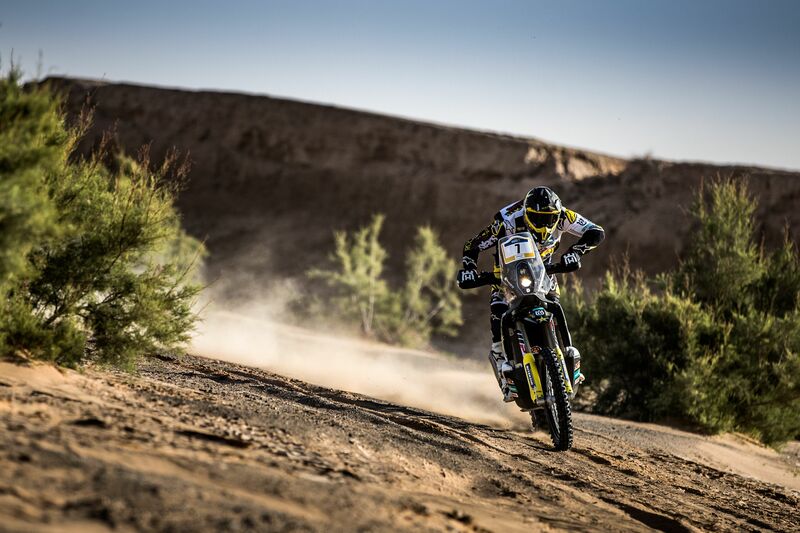 Battling through a demanding stage in terms of navigation, Andrew Short brought his Husqvarna home in 14th position. 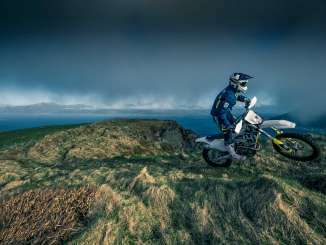 Continuing to learn and improve, the Rockstar Energy Husqvarna Factory Racing rider is looking forward to the remaining three stages of the event in Morocco. The first part of the two-day long marathon stage, tomorrow’s stage three will be crucial for the final outcome of the event. Featuring a total of 303km, it includes a timed special of 239km. Expected to reach the finish of the stage early tomorrow afternoon, riders will not be allowed any outside assistance as they prepare their machines for Thursday’s stage four.